ANY job can be done more effectively if the tools which must be used in doing it are in good shape than if those tools are defective. And this applies to machine tools quite as much as to hand tools. On earth each individual has certain functions to perform. And the machine tools he must employ in doing whatever his work may be are his mind and his body. He can do his work to best advantage only if his mind and body are kept in first-rate condition. His mind resides on the inner plane. It consists of all his past experiences, including those before he was born into human form. 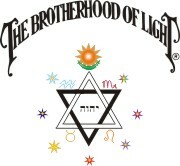 It not only embraces whatever knowledge he may possess—and upon this knowledge depends his ability—but also the way past experiences have been organized as harmonious or discordant thought cells, and the dominant vibratory rate which determines the inner-plane level on which it functions and thus his spirituality. The physical body, including the brain, resides on the outer plane. It embraces various types of physical tissue, various organs, and the way they are related to each other which determines their degree of coordination. And while some things are accomplished by the psychokinetic and non-physical power of the mind, the accomplishment of each person on earth in large measure depends upon the thoughts which through the brain reach objective consciousness, and that which the body does, which is termed behavior. The mind, which is one machine tool, and resides on the high-velocity inner plane, is attached to, and functions through the other machine tool, the body, by psychokinesis. This ability to function through such a complex form by means of the non-physical power of the mind has required the long training of evolution, during which the mind has, step by step, through being attached successively to higher life forms, developed the necessary knowledge and psychokinetic power. Neither of the machine tools, on which each individual must depend for both accomplishment and the events which enter his life, is perfect at his birth. He has to learn physical coordination in order to walk, in order to talk, and in order to do more complex physical things. And in addition, the physical tool must be given proper foods and a congenial environment if it is to be kept healthy, and thus able to do effective work. And to direct his physical machine properly, he must gain knowledge and store it for future use in his inner-plane tool, the mind. Furthermore, this inner-plane tool, to be properly effective, must also receive training and proper foods. The discords in it, the thought cells which use their psychokinetic power to attract misfortune, must be trained to have different desires. To that end they must be reconditioned. As the food of the mind are mental states, and as the health of the body and the events which come into the life are profoundly influenced by the health of the mind, or soul, it is fully as important that the mind shall be given proper thought nourishment as that the body shall be given proper physical nourishment. Certain factors of the outer-plane environment, such as heat and cold and the outer-plane weather in general, affect the physical health. And certain factors of the inner-plane environment, such as the inner-plane weather mapped by astrology, affect the mental health. One needs different physical food when the outer-plane temperature is below zero than when it is 100° in the shade. And one needs different mental food when cold Saturn dominates the inner-plane weather than when Mars raises the temperature of the inner-plane weather so high that anger tends to burst into flame on the slightest provocation. As the condition of the outer-plane machine markedly affects the condition of the inner-plane machine, and as the condition of the inner-plane machine markedly affects the condition of the outer-plane machine, it is important that each be given the particular foods which are indicated by the birth chart as most needed, and that each be given the foods that during specific periods the outer-plane weather and the inner-plane weather indicate are needed to put these two machine tools, which the soul must use, in as good running condition as possible. 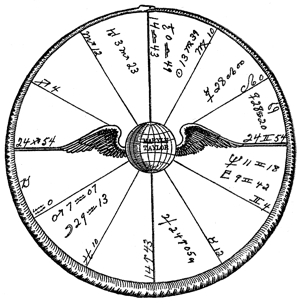 Because the individual is not born until the inner-plane weather corresponds in general to his inner-plane, or thought-cell organization, his birth chart indicates along broad lines the types of mental food needed to put his mental machine in good running order, and the types of physical foods needed to assist the mental machine put his physical machine in good running order. While some of the physical foods that agree or disagree with him must be learned through experience, in the following four chapters (Serial Lessons 222, 223, 224 and 225) are pointed out certain physical foods and certain mental foods that are especially and urgently needed if in his chart a given planet is heavily afflicted. The chart of birth shows the PREDISPOSITION toward diseases of a particular type. The most powerful and most discordant planet in the chart of birth shows the type of disease toward which he has the strongest predisposition. The next most powerful and discordant planet in the chart of birth shows the type of disease toward which his predisposition is next strong, and so on. 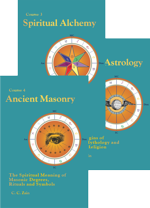 The birth chart constants of 160 different diseases are given, as statistically ascertained from the analysis of the birth charts of those who have experienced the disease, in Course XVI, Stellar Healing. It is well to become familiar with these constants so that the diseases toward which one has a predisposition can be known, and precautionary actions taken that will prevent these diseases from ever developing. These precautionary actions in particular embrace both the physical and the mental diet advocated in the following chapters when the planets which are the constants of the disease are afflicted. 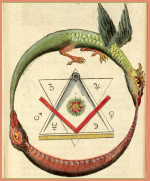 But in addition to knowing the birth chart constants of the diseases toward which he has a predisposition, each neophyte should know what progressed aspects always coincide with the development of the diseases toward which he has a predisposition. These are set forth in relation to each of the 160 different diseases considered in Course XVI, Stellar Healing. And before these progressed constants are within one degree of perfect, and during the time they are within the effective orb of one degree of perfect, he should take special pains to follow both the mental and the physical diet advocated in the following chapters (Serial Lessons 222, 223, 224 and 225) for afflictions of each planet involved. Furthermore, even though a planet heavily afflicted by progressed aspect is not a constant for a disease toward which he has a predisposition, while the progressed affliction is within the one degree of effective orb, he should use both the mental and the physical diet indicated. In that way he will not only do much to prevent the progressed affliction from decreasing the efficiency of his two machine tools, but he will mitigate the severity of the events that otherwise are likely to come into his life during this period. Thus to use the mental and physical diets best suited to keep both machines in good running order, he must not only be familiar with his birth chart, but must keep on file for frequent consultation the record of all major progressed aspects for some time in the future. And if he also notes the shorter periods when his major progressed afflictions are reinforced by minor progressed aspects to one of their four terminals, and released by transit aspects to one of their four terminals, he will be in a position to be especially careful to have the proper mental and physical diets, and to use other precautionary actions during the shorter spells when they are most needed. In addition to keeping aware in advance of the inner-plane weather conditions he will encounter, as revealed by his progressed aspects, and the specific mental and physical foods needed for those adverse, as set forth in the following four chapters, he should also make himself familiar with the general principles of a healthy diet, the function of each of the various types of food, the vitamins, and the importance of a proper alkali-acid balance as set forth in Chapter 3 (Serial Lesson 153), Course XIV, Occultism Applied, Diet and Breathing. Relative to the acid condition of the blood so frequently mentioned in Chapter 3 (Serial Lesson 153), Course XIV, Occultism Applied, and in Course XVI, Stellar Healing, it is not implied that overfatigue, the eating of non-alkaline foods, a common cold, or even the toxins of contagious diseases cause the bloodstream to develop true acidosis. Acidosis is a serious disease, and the individual having it is quite ill. It is given consideration in Chapter 7 (Serial Lesson 203), Course XVI, Stellar Healing. But muscular exertion causes lactic acid to be liberated in the blood, tissue metabolism adds other acids to the blood, the toxins of the waste material of the life processes of invading organisms, when these are present, add still further acids to the blood. For the individual to remain healthy the bloodstream must constantly remain slightly alkaline. Adrenaline, cortin and thyroxin by chemical combination with them neutralize these acids of the blood, and it is the function of the kidneys to filter such acids out of the bloodstream. The alkali residue of non-acid producing foods neutralizes the acids in the blood, and thus takes much of the burden, which may otherwise become too great, of neutralizing the acids off adrenaline, cortin and thyroxin, and also relieves the kidneys of too great work. Not only are fruit juices and vegetables juices excellent sources of vitamins and minerals, but they should be used in colds, fevers and contagious diseases to neutralize the acids of the blood. Often the adrenaline, cortin and thyroxin supply in such cases and the filtering ability of the kidneys, are unable effectively to handle the acids unless they receive assistance from alkaline producing foods. And until the acids of the blood are thus neutralized or eliminated the illness remain serious. A glass of citrus juice 30 minutes before breakfast, under normal health conditions, is good to assist the assimilation of calcium from the breakfast and as a laxative. But it should be remembered that the juice should be squeezed fresh from the fruit just prior to drinking, as experiments have demonstrated that the vitamins and minerals of juiced fruits are destroyed by oxidation within half an hour by exposure to the air. Green leaf vegetables, such as asparagus, lettuce, broccoli, endive, mustard greens, water cress, parsley, and turnip greens, as well as green peas, green string beans and green lima beans, contain the green coloring substance called chlorophyll. Without chlorophyll neither plants nor animals could live on earth, for by photosynthesis it is able, in the presence of light to convert the carbon dioxide of the atmosphere and the water of the soil into the carbohydrates. These form the chief substance of plants, and animals and plants possessing no chlorophyll must depend on the chlorophyll possessing plants to manufacture the carbohydrates for them; for these are the chief fuel foods, and neither plants nor animals can live without them. Fresh green salads in which sliced avocados or unpared sliced green cucumbers may be added to the other green vegetables and sliced ripe tomatoes, are good for vitality and to assist proper elimination. There is a tendency on the part of most to overcook foods. Vitamin B-1, a nerve necessity, is destroyed by long exposure to heat. Roast beef and beef which is stewed an hour or more thus loses more than one half its vitamin B. All 12 of the factors embraced in vitamin B Complex, including B-1 and B-2, as well as vitamin C, are water soluble. Therefore, in addition to the destruction caused by heat, when they are boiled in considerable water over some time the vitamins are removed from the vegetables by the water. Then, when the water in which the vegetables are cooked is thrown away, these vitamins and the mineral salts which also are essential to health and have been removed in the water, are lost. Vegetables should be selected for their freshness and quality. They should be prepared in a manner that will preserve not only the vitamins and minerals, and as much of their electromagnetic energy as possible, but also their natural delicate flavor. To do this, fresh vegetables should never be soaked in cold water before cooking, and tuber vegetables and fruits should be cooked in their skins, and thus served; as both vitamins and minerals are most abundant next to the skin. The cooking time must vary with the vegetable. The more cellulose it contains the longer it needs to be cooked, but most can be cooked properly within 4 to 12 minutes. Fresh vegetables should be cooked in from one fourth to one half cup of boiling water. To prevent the minerals and vitamins being leeched out, drop the vegetable in boiling water. Cook no longer than necessary, and thus preserve the minerals, vitamins, the electromagnetic energy, and the appearance and flavor which makes it unusually appetizing. Any salt for seasoning should be added after the vegetable has reached the table. Vitamin A, vitamin D, vitamin E and vitamin K are fat soluble. And their value is impaired if the fat, such as butter or fish liver oil, becomes rancid. To recondition the thought-cell organization of the finer form it is necessary to be able to induce appropriate emotions; for it is the feeling which accompanies thoughts which determines whether they build harmonious or discordant thought cells with their thought elements. And it is the psychokinetic activity of thought cells that brings most events of consequence into the life. When the nerves are lacking in calcium, or the parathyrin supply is so low that little calcium is handled, the individual tends to be highly sensitive to the slightest discord or hindrance. In spite of all his efforts he may be highly irritable. And when there is an overabundant release of adrenaline, he may be unreasonably aggressive, abrupt and quarrelsome. When there is insufficient cortin secreted, he may become so fearful that he is unable to keep from being a coward. And when the pineal hormone secretion is excessive in proportion to adrenaline and cortin, he may be negative and effeminate in his reactions to the conditions which arise. And each of these glandular conditions which result in undesirable emotional reactions is influenced not merely by the inner-plane weather mapped by astrology, and by the individual’s efforts to direct his thinking, but also by the physical foods he eats. In Chapter 7 (Serial Lesson 222) we give an illustration of the effect of foods on the emotions in the life of Gandhi. But it should be recognized that, due to the different body chemistry as revealed by their charts of birth, people react quite differently emotionally, intellectually and physically to the same type of diet. Relative to intellectual reactions the charts and lives of two men, George Bernard Shaw and Herbert Spencer, both of whom have accomplished a tremendous amount of mental work, may be cited. Shaw (chart in Chapter 4 (Serial Lesson 106), Course X-I, Delineating the Horoscope), who at this writing (1949) is 92 years of age and still turning out good literary work, has been a strict vegetarian. He has a brilliant wit, is a dramatist and an idealist. His plays have been immensely successful. Neptune, which stimulates the pineal secretion which makes the handling of proteins, and especially meat, very difficult, is unusually powerful. It is elevated, semisquare Pluto, sextile Moon and Uranus, square Asc., trine Mercury, and sesquisquare Sun and Venus. Also Mars, the planet of meat, is in his house of illness (sixth). Herbert Spencer (chart in Chapter 5, Serial Lesson 220) turned out an equally tremendous amount of mental work. He wrote a synthetic philosophy embracing the findings of science in all its various branches. Although he had Neptune trine Sun and sextile Moon, which with Uranus rising made him so sensitive that he had a sound proof room built in which to write, and which induced him to try to live on a vegetarian diet, in this he was unsuccessful. Mars in the seventh square Sun, and the Moon in the Mars sign Scorpio, opposition Sun, made it impossible for him to generate enough energy to do good work on a vegetable diet. He gave it a thorough trial for a year, but was compelled to destroy and rewrite all he had written while living without meat, because it lacked clearness and the customary vigor. B Complex is now known to consist of at least 12 separate factors, 10 of which have been obtained in crystalline form. As some of these factors are highly important, and have been discovered only recently, it seems well here to discuss them briefly and thus bring the knowledge of vitamins up to date. Thiamin hydrochloride, commonly known as B-1, is a white crystalline substance readily soluble in water. In the dry form it is quite stable and is not readily destroyed by oxidation. But its activity is readily destroyed by sulfite, which probably explains its loss during the sulphuring of fruit. It also is rapidly destroyed in dehydrated meats and vegetables, when the moisture is about five per cent. Beriberi is primarily due to an insufficient supply of thiamin. It is essential for nerves and brain. Riboflavin, once called vitamin G, but now called vitamin B-2, is a practically odorless orange-yellow crystalline compound which is water soluble. It is rather heat stable, but deteriorates rapidly when exposed to light. Its deficiency results in pellagra. It is essential to the thymus gland and the proper production of lymphatic cells. Nicotinic acid, once called vitamin P-P, occurs as white needle like crystals. Due to the similarity in sound to nicotine, the acid is commonly referred to as niacin and the amide as niacin amide. Its deficiency gives rise to pellagra. Corn meal and patent flour contain from 1 to 1.5 mg. per 100 Gm. of this vitamin, and to meet minimum requirements one would have to consume 1,000 Gm. which is impossible, and indicates why those living on such food develop pellagra. By way of contrast, wheat contains 5 to 7 mg. per 100 Gm. and is a reliable source of this vitamin. But in milling ordinary white flour 80 to 90 percent is removed. One serving of liver will supply the daily allowance, and one serving of lean meat will supply over half the daily requirements. Pyridoxine hydrochloride, once known as vitamin B-6, is a white crystalline powder, odorless and slightly bitter to the taste. Its deficiency leads to acrodyna and retarded growth in rats, and to hypochromic anemia in dogs. Pantothenic Acid, is fairly stable when subjected to moist heat, but is destroyed by prolonged dry heat. Its deficiency in chicks leads to a typical dermatitis, in rats to poor growth, necrosis of the adrenal cortex and graying of the hair, in dogs to sudden collapse associated with changes in the blood content. Choline, is a colorless, viscous fluid. Its function has to do with the mobilization of fatty acids in the body. Young rats on low choline diets develop renal hemorrhagic degeneration and deposition of fat in the liver. Biotin, apparently functions in making certain chemical changes in the body, but little is yet definitely known about it. Inositol, is a crystalline substance with a sweet taste. That it is essential in animal nutrition has been established, but beyond that little is yet known. Para-Aminobenzoic Acid, seems important in metabolism, but nothing about it is as yet definitely known. Folic Acid, is a yellow compound sparingly soluble in water. It has been used with great success in the treatment of anemia and pernicious anemia. B-10 and B-11, are so closely related to folic acid that new techniques must be developed to determine their functions. B-12, is a crystalline compound which has been isolated from livers. It is highly active in patients with Addisonian pernicious anemia. But its function and possible value must await experimental work. In the United States more people die of heart disease than from any other, next in number are those who die from cancer, third those who die of kidney disease, and fourth those who die from cerebral hemorrhage. Cancer needs to be considered separately, as its relation to these other three diseases is not plain. It is given detailed discussion based upon the statistical analysis of the birth charts of 100 people who had cancer, in the reference book Body Disease And Its Stellar Treatment. It is evident that diet may increase the predisposition toward the development of cancer, and that negative thinking precedes its development. There are cancer clinics now in the larger cities, and people should understand that if they go to such a clinic early enough that cancer can definitely be cured. While at first glance it might seem that each of the other three diseases had little bearing on the other, a little closer scrutiny reveals that the underlying cause of each may be quite similar and that the disease which finally results in death in many instances may be due to which is the weaker, the heart, the kidneys or the blood vessels. As in time, with our present knowledge, no matter how well an individual regulates his physical diet, his mental diet, and the other circumstances of his life, an individual finally loses his physical body, and as these three diseases tend to develop with age when the physical machine begins to wear out, in order to prolong health and life on earth and thus add to one’s usefulness, it seems well to know why so many people as they advance in years succumb to one of these three diseases, and what are the best precautionary actions to take relative to each of them. According to the American Heart Assn. Inc., three times as many people die from heart trouble as from cancer, and eleven times as many as die from tuberculosis. In 1948 it stated 3,700,000 Americans were victims of heart disease, and the same number suffered from arteriosclerosis (hardening of the arteries) and high blood pressure (hypertension). These two difficulties together also cause more chronic illness than any other single disease. Hypertension not only contributes to heart difficulties, but as will be explained, it contributes markedly also to kidney trouble and cerebral hemorrhage. As a common contributing factor to three of the four most common causes of death, it needs careful consideration. Starting with kidney difficulties, let us try to get a general picture of why so many people die from heart disease, kidney trouble or cerebral hemorrhage. The upper part of the kidneys is ruled by Venus and the lower part is ruled by Mars. The tissues of the body are bathed in fluid. The life processes of the body call not merely for a constant burning of fuel through combination with oxygen, but also a gradual destruction and replacement of tissue cells. The by products of these processes are picked up by the bloodstream. Most of the carbon finds its way into the open air through the mucous membrane of the lungs. But the other toxins, especially the acids, irritate the mucous membranes. The pores of the skin allow some of them to be eliminated, but the kidneys must remain chiefly responsible for filtering these toxins and acids from the bloodstream. And the bloodstream must get rid of them; for if its normal chemical composition is changed in any marked degree the individual becomes seriously ill. Thyroxin, adrenaline and cortin all act to neutralize the acids in the bloodstream so that it can retain its normal chemical composition without placing too great strain on the filtering power of the kidneys. Under ordinary circumstances one healthy kidney can filter the toxins from the bloodstream with sufficient efficiency to keep the individual in fair health; but if both are removed or incapacitated the individual cannot get rid of the poisons which gather in the bloodstream and he soon dies. It takes cortin properly to handle the proteins; and when there is too much protein in the foods it places too great a strain on the cortin supply and on the kidneys. Alcohol is very hard on the kidneys. Some, with unusually strong kidneys, drink to excess all their lives and live to a ripe old age. But it is far more common to find kidney trouble developing in those who have drunk heavily and steadily over the years. This applies in less degree to those who go on periodical drunks, and do not touch liquor in between sprees, than to those who never are drunk, but consume alcohol daily just up to the point where it noticeably affects their behavior. A system thus saturated with alcohol must have unusual kidneys not to deteriorate when they are constantly called upon to filter so much alcohol and its by products. Some people also can apparently handle an almost unlimited amount of the uric acid of red meat; but other people, with weaker kidneys, find either much red meat or much alcohol places too much strain on their kidneys, and if they continue to indulge in either kidney trouble develops. 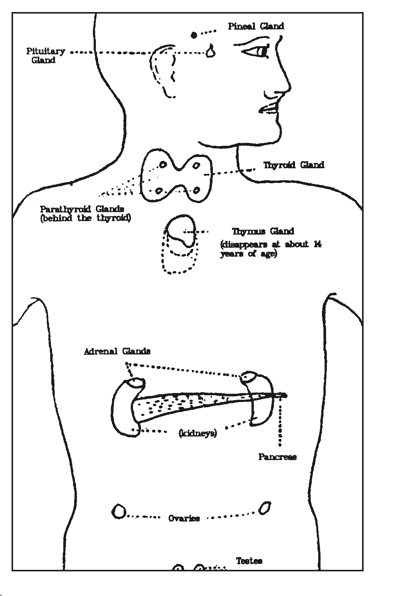 The thyroid gland responds immediately either to Sun thinking or to Venus thinking. Under discordant Sun emotions or discordant Venus emotions thyroxin is poured into the bloodstream. This tends to cause contraction of the arterial blood vessels, hindering blood flow, especially the flow to the kidneys. Thus do emotions which cause the release of considerable thyroxin contribute to kidney trouble and heart trouble; for without an ample blood supply the kidneys become depleted, and with arteries contracted the heart must work harder to force the blood through them. The arterial system is composed of miles of elastic hose from about an inch in diameter to one-twenty-five-thousandth of an inch in diameter, reaching every tissue and every particle of skin in the body. The heart must pump blood continuously through these miles of elastic hose. They should expand to permit an easier flow. The pressure depends upon the power with which the blood is pumped(Sun) and the resistance offered by the elastic hose. The hormone of the thyroid gland stimulates the heart and contracts the blood vessels, and the hormone of the gonad glands does likewise through its action upon adrenaline. Cortin, which responds directly to Mars thoughts, and adrenaline, which is secreted by thoughts of anger, irritation, the feeling of rush, worry, anxiety or fear, contract the arterial blood vessels and raise the blood pressure even more violently than does thyroxin. Then, after the kidneys have been debilitated through depriving them of blood, the person who chronically holds the attitude of emotional excitement uses up his thyroxin, and the person who keeps in a dither of irritation or anger uses up his adrenaline and cortin, and the person who gives way chronically to worry or fear uses up his adrenaline. These are the three chemicals he must depend on to fight infection and to neutralize the toxins of the bloodstream. The kidneys already have become impaired; but now they are called upon to filter out stronger acids. When such acids become too concentrated they attack the tissues of the kidneys, causing a sloughing of the membranes and their general disintegration. The weaker the kidneys are the more quickly they thus disintegrate when called upon to filter too much acid. The region of the kidneys is mapped by Libra and Scorpio, Libra mapping the upper part and Scorpio the lower. Venus rules the upper part of the kidneys and Mars rules the lower part. Thus we find through statistical analysis of the charts of those who have had kidney trouble that its birth chart constants are a planet severely afflicted in Libra or Scorpio, or Venus or Mars severely afflicted. To the extent such afflictions are shown in the birth chart are the individual’s kidneys weak and predisposed to disease. The progressed constants of kidney trouble are an aspect, usually an affliction, involving the planet in Libra or Scorpio, or involving Venus or Mars. One predisposed to kidney trouble, therefore, should take special precaution to keep his bloodstream slightly alkaline, and to avoid emotional excitement, as well as to use the proper harmonious thoughts to neutralize the influence of the planet afflicted by progression, during periods when the progressed constants of kidney trouble are present. Pituitrin from the back pituitary, secreted overabundantly in emotional disturbances affecting family life (Moon) also contracts the blood vessels, except those of the kidneys. And an acid bloodstream irritates the lining of the vessels causing them to constrict. With age chemical imbalances may cause their walls to become coated with calcium and other deposits, making them brittle and raising the blood pressure. It is now also believed that a high fat diet is related to hardening of the arteries. Both the arteries and fat are ruled by Jupiter. Recent investigation has shown that those suffering from hardening of the arteries (arteriosclerosis) have these hardened arteries coated with minute globules of fat which deprives them of elasticity. And it has been shown that arterial hardening is more common in fat, overnourished people than in lean under nourished people. Peoples who eat low fat, or almost fat-free diets, such as the Chinese and Okinawans, seldom have arterial hardening, and in Germany during the fat shortage years following World War I, it decreased markedly. The birth chart constants of hardening of the arteries are Jupiter and the upper-octave planets prominent and usually afflicted. Anyone with these constants in his chart of birth should keep his diet free from too much fat and other rich foods, so as not to develop the ketosis type of acid bloodstream, which seems to make minute fat deposits on the arterial walls. And he should see that he has plenty of calcium, vitamin B-1, and vitamin D in his food so that he handles the calcium properly. Hardening of the arteries, through reducing their elasticity raises the blood pressure. And, of course, emotional disturbances which release either thyroxin, adrenaline or cortin, cause the heart to beat more rapidly and the blood pressure to rise. Relative to blood pressure, there are two, the systolic pressure created by the pumping force of the heart, and the diastolic pressure when the heart is at rest. The systolic pressure is the high one, and the one people with high blood pressure usually worry about. Under such pressure the brittle or weakened walls of the blood vessels may break, and if the break is in those of the brain there is a stroke, or apoplexy, resulting from cerebral hemorrhage. Such high pressure may also overwork the heart and bring about its enlargement and wear it down. But high diastolic pressure is also important, for it seems often associated with degeneration of the tiny arterioles and damage to the kidneys. The birth chart constants of this disease, which is fourth in the number of lives it takes, are Uranus prominent, usually an afflicted Mars, and commonly an afflicted planet in Aries. The afflicted planet in Aries, when it is present, maps thought-cell activities in the region of the head which gives a predisposition to diseases affecting this region in preference to some other. As Mars is the ruler of Aries, in less degree the afflicted Mars indicates the same predisposition. But the afflicted Mars also indicates that at times the cortin and adrenaline supply are either overactive or deficient. As the progressed constants are an aspect involving Uranus, and an aspect involving Mars, it is the tendency of the thought cells these two planets map that needs special attention. Aspects involving Uranus are coincident with a type of electrification which gives the highest nerve tension of all. The electrical energies flowing over the nerves not only give a high degree of nervous excitement, but they are subject to abrupt and erratic changes. 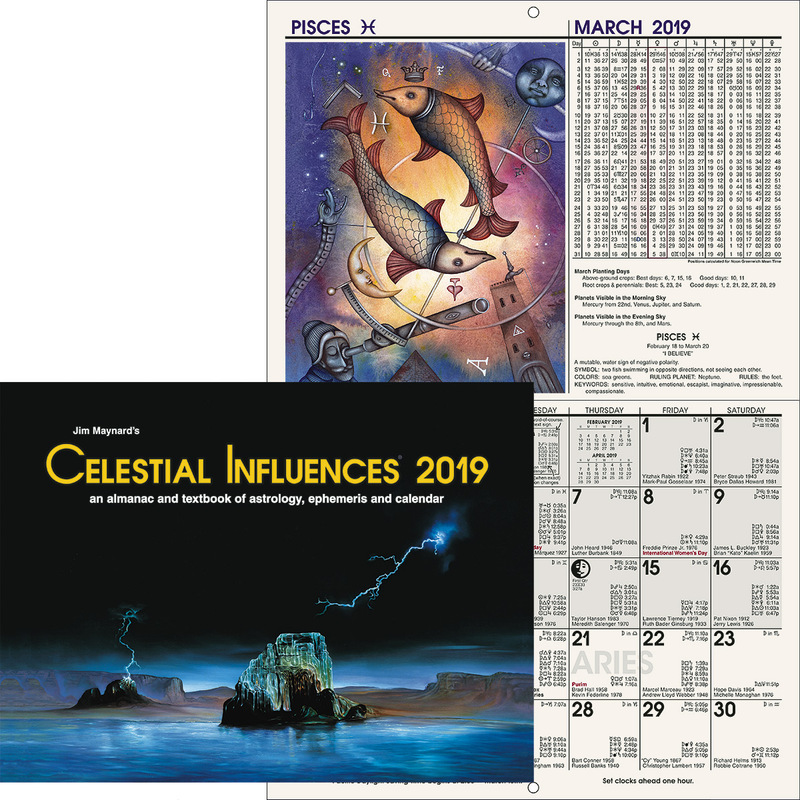 Under the influence of the Uranus thought cells people often become unreasonably enthusiastic, or unusually emphatic, about conditions and events that other people take more matter of factly, for Uranus is the planet of extremes. The danger from cerebral hemorrhage increases with age, because commonly the blood vessels are more brittle, or are weaker, due to age. And if they have been weakened by acids in the bloodstream, or if they have become brittle through insufficient parathyrin to handle calcium, or if they have become inelastic through coatings of minute globules of fat, even a little sudden increase in the circulation may cause their rupture. If the rupture is in the brain, the pressure on the brain where it occurs usually results in a stroke in which some section of the body is paralyzed. The precautionary action where such predisposition is indicated is through the diet to strengthen the walls of the blood vessels by not too much fat and rich foods, and by sufficient alkali residue foods. And to see to it that the calcium is properly handled through supplying it in the food along with vitamin D. Nor should B-1 be neglected, which is essential when Uranus is involved to keep the nerves stable. If the nerves become irritated it is more difficult to keep from high tension nervous states, and from experiencing emotion. Excitement of any kind should be avoided, and undue strain, for thyroxin, adrenaline or cortin released into the bloodstream increases the circulation and raises the blood pressure; and under excitement or strain one or more of these are thus released. And in addition the thoughts should be cultivated which are the antidotes of Uranus and Mars; harmonious Jupiter thoughts for Uranus, and harmonious Moon thoughts for Mars. Heart trouble is of various kinds, but for all of them three birth chart and three progressed constants are present; an aspect involving the Sun, an aspect involving Mars, and an aspect involving Venus. In some types of heart disease other constants are present. In coronary thrombosis, for instance, both in the birth chart and by progression, either Neptune or Pluto, and often Jupiter, is involved. And in valvular trouble resulting from rheumatic fever, Saturn is involved at the time the fever develops. The Sun rules the heart, therefore it is not surprising the thought cells it maps are always involved in heart difficulty. And the thyroid gland responds to either Sun thought-cell activity or to Venus thought-cell activity. It is the gland of energy production, and has a direct effect upon the speed of metabolism. The more of its secretion, thyroxin, there is in the blood, the more fuel is consumed and the faster one lives. And the faster one lives the more work the heart must do. Through their power to release thyroxin, and thus affect the amount of work the heart must do, both the Sun and Venus have a direct relation to heart difficulties. Mars rules the muscles, and as the heart is the most important muscle of the body, it is influenced by Mars. But also two other hormones of energy production are released by Mars thought-cell activity; adrenaline, the hormone of emergency energy, and cortin, the hormone of courage. These not only speed up the heart action, but they also contract the blood vessels and thus contribute to the most common form of heart trouble, that which accompanies hypertension (high blood pressure). Coronary occlusion, or thrombosis, is another form of heart trouble. A clot forms on an artery in the heart, or moves there from some other region, and increases in size until it blocks the flow of blood. Twenty percent of the people to whom this happens die within a few hours. In other instances the clot moves on, but usually scar tissue forms which decreases the efficiency of the heart. Rheumatic heart, which so often leaves a murmur, is due to this infection of the heart muscle by the organism which causes rheumatic fever. It attacks the heart, destroying considerable muscle and injuring the valves. With defective valves, the heart has to work too hard to keep the circulation normal, and may wear out and collapse. Hardening of the arteries causes them to become smaller and less elastic. Unless the blood pressure is raised to compensate for the smaller aperture through which the blood must move, not only other organs, but the heart also, receives too little nourishment. Thus starved, scar tissue forms in the heart and cuts down its effectiveness. I suppose I should also mention the common term angina pectoris. This consists of stabbing pains which indicate the heart is not getting enough blood. But instead of itself being a specific disease, it is a symptom which makes known a condition of the heart which may result from any of the four heart diseases mentioned. About half a million Americans die of heart trouble each year. In those cases where Neptune, Pluto, Saturn or Jupiter is a constant, both the mental and the physical diets should also be used which are the precautionary measures for afflictions involving these planets. But for heart trouble in general, it is clear enough that the physical diet should be such as to keep the bloodstream properly alkaline—for acids in the blood cause the blood vessels to contract—and that it should not contain too rich foods or too much fat to coat the blood vessels with small globules and thus harden them. The blood vessels should be kept elastic, so the heart will not be overworked in forcing the blood through them. 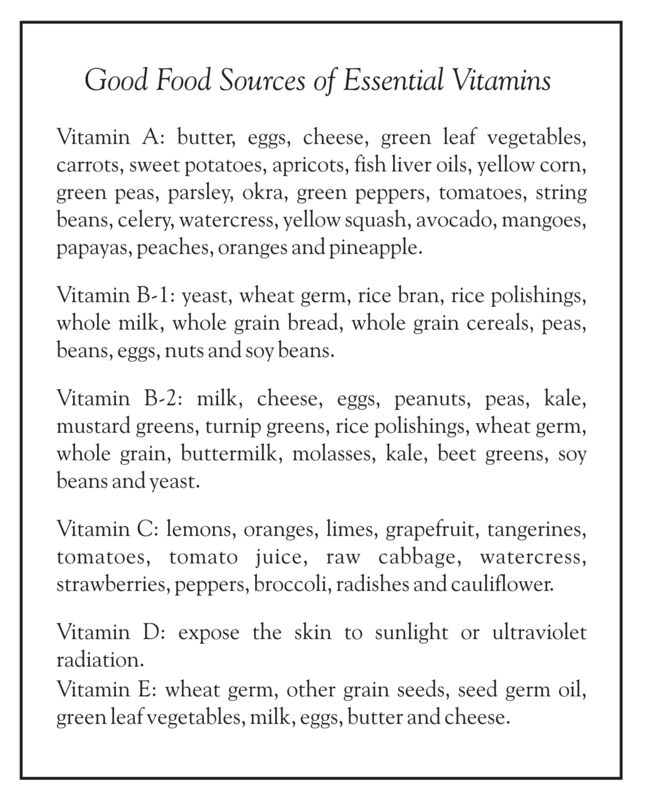 The diet should contain the Sun requirements; iodine for the thyroid, and manganese, vitamin B Complex and vitamin A. It should contain the Mars requirements, to keep the muscle healthy and to keep it from being undernourished through impoverished blood. These requirements are vitamin A, vitamin B-1, vitamin C, iron, and not too much protein, but ample variety of protein. And it should contain the Venus requirements; vitamin A, iodine for the thyroid, copper for the blood, and vitamin E.
As this is written there is a big controversy in the medical profession as to the effectiveness of vitamin E in restoring heart patients to health. But in nearly all the functions in which either Mars or Venus takes part the other in some manner cooperates. Vitamin E is the most important Venus vitamin. It is believed to exercise control of oxidation of the tissues. And as both Venus and Mars are constants of heart trouble, it seems the part of wisdom for those with a predisposition to heart difficulty, and those suffering from it, to see to it that they get abundant vitamin E.
Of course, physical foods are only the minor half of the problem of preventing heart disease. The major half of the problem lies with the inner-plane, or thought foods. As emotional excitement of any kind tends to release one or more of the hormones into the blood which contracts the blood vessels and thus causes the heart to overwork, calm and harmonious thoughts should be cultivated to replace worry, fear, anger, irritation, sorrow, and any thoughts which tend toward excitement. Domestic problems should not be permitted to cause discordant thoughts. Not only should the thoughts and feelings be kept such that no excessive amount of pituitrin, thyroxin, adrenaline, or cortin will be released into the blood to increase the circulation or contract the blood vessels; but harmonious Sun thoughts should be cultivated. Instead of disappointment and dissatisfaction with the significance attained, and placing oneself under pressure to gain more significance, when one has done his best, and without too much strain, he should cultivate a feeling of satisfaction in it. This will recondition the Sun thought cells to seek more harmonious expression. For the Mars thought cells, whenever anger, irritation, lust, the feeling of antagonism or the tendency to strife, undue haste, or undue expenditure of energy begins to be felt, the individual should turn his thoughts pleasantly to some project having to do with the comfort of his family, or which contributes to the welfare of the aged or young or those otherwise helpless. This will divert their psychokinetic power into more healthful channels. For the Venus thought cells which tend to cause undue emotion; when emotions start to develop, harmonious Saturn thoughts should be brought into the mind to displace them. For this purpose there can be used thoughts of caution, of system and forethought; the recognition that permitting emotion of any intensity or excitement of any kind is unwise, and quite unnecessary to live a long and happy life. Such thoughts thus applied will modify the Venus thought cells and cause them to work for health and other beneficial things. September 5, 1892, 2:23 p.m. EST. 82:27W. 1915, Feb. 1, entered nurses’ training school: Mercury sextile Venus r, Mars trine Neptune r in 6th. 1918, April 3, became graduate nurse: Mercury semisextile Uranus r, Mars trine Neptune r.
1943, Mar. 12, war nurse in Hawaii: Sun conjunction Uranus r.
1945, Mar. 24, returned home: Mars sextile Jupiter r.
1945, Mar. 29, attended classes and decided to devote balance of life to C. of L.: Sun conjunction Uranus p.
1945, Oct. 18, started teaching at headquarters: Moon trine Saturn p.
1946, June 18, became Hermetician: Sun conjunction Uranus p.
1947, July 1, C. of L. minister: Sun semisextile Saturn p.
1948, Jan., started writing on stellar diet (for Rising Star): Mercury semisquare Saturn p, Moon trine Uranus p.